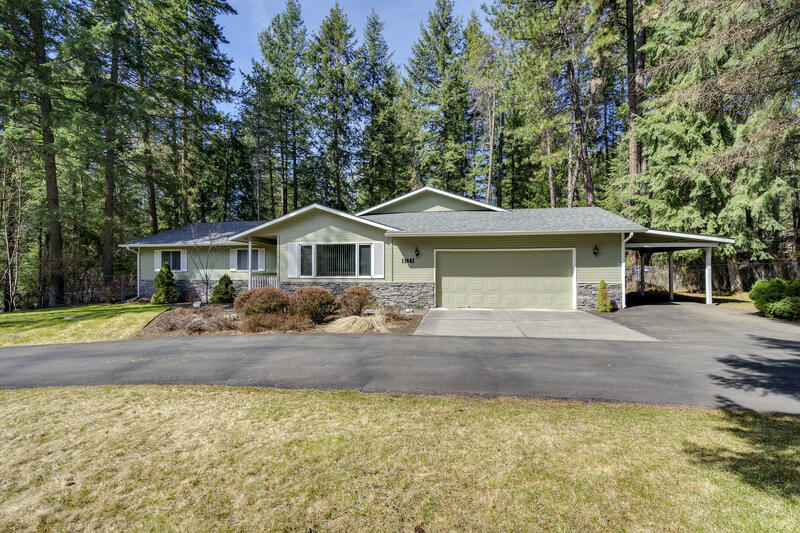 Beautiful 3 bedroom 2 bath rancher just minutes from the Hayden Lake Country Club and Avondale Golf Course. Enjoy the peaceful, private 1+acre of professionally landscaped grounds, surrounded by a quiet neighborhood and abundant wildlife. Warm and inviting spaces include a large main floor master suite with slider to the secluded and fully fenced back yard. Vaulted box beamed ceiling adds warmth and depth to the oversized living room with gas fireplace. Perfect for entertaining family and friends. Recently remodeled bathrooms, one with a soaking tub for you to enjoy and unwind. New seamless rain gutters, new deck, recently paved and sealed circular driveway, new roof, RV parking, room for a shop and so much more! !